Trekking in Peru means very high altitude hiking and mountaineering. The higher you ascend, the cooler the temperature. Weather is unpredictable in the Andes, especially on high passes. It is important to stay warm and dry in order to fully enjoy the incredible wilderness of the Cordilleras! We offer the optimal equipment for all our treks and expeditions. All of our equipment is inspected, tested, cleaned prior to and after each use and replaced when worn-out. 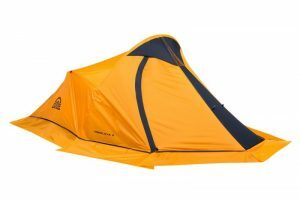 Our trekking tents are top rated 4 season tents made by Doite or by The North Face. 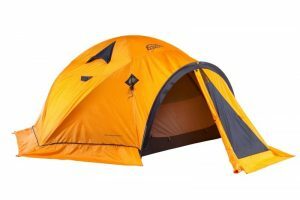 Nice and roomy, these tents can comfortably fit 3 people, but we usually use them for 2 people. They are fully waterproof, support strong winds and have dual doors. Our sleeping pads are foam based mattresses that provide cushion and insulation. is so individual we require that each customer bring their own sleeping bag. some people stay very warm when they sleep and others need extra warmth. A good night’s sleep is important when trekking and climbing in high altitudes. For our mountaineering trips we use top rated expedition tents made by Doite or by The North Face. These tents can comfortably fit 2 people. They are fully waterproof, support strongest winds and have a good ventilation system. Most of our treks include waterproof dining and kitchen tents for meal preparation and group meals. We use solar lamps for lightning the group tents. We provide a first aid kit and emergency oxygen spray on all of our treks and expeditions. Our guides participate in first aid, CPR training and rescue courses annually. If we didn't answer all of your questions on equipment, feel free to drop us a line anytime.